How Your Assessment is Determined: How Much Would You Owe? The Organic Checkoff requires all entities whom handle certified organic products with total gross sales/revenue in organic products in excess of $250,000 in a calendar year to remit one-tenth of one percent (0.1%) of its Net Organic Sales, which is the total gross in certified organic product minus (a) the cost of certified organic ingredients, feed, and inputs used in the production of certified products and (b) the cost of any non-organic agricultural ingredients used in the production of certified products. Entities who handle organic products and have Gross Organic Revenue of $250,000 or less may elect to participate in the Checkoff as a voluntary assessed entity by remitting 0.1% of its Net Organic Sales. A hot topic in the organic food world is whether fruits and vegetables grown with bioponics, hydroponics, aeroponics, aquaponics and containerized growing should be considered organic. Here’s what they are, what’s going on and what shoppers need to know. Bioponics are soilless farming techniques where plants aren’t grown in the ground. In hydroponics, plants’ roots are immersed in nutrient-rich water. For aeroponics, roots are suspended in air and sprayed with nutrient-rich mist. Aquaponics combines hydroponics with fish farming. Plants are grown next to fish tanks and utilize nutrients from their waste. Sounds unpleasant, but it’s completely safe. There’s also containerized growing, which does involve soil but in greenhouses or beds, not in the ground. All these methods prohibit toxic pesticides in favor of approved organic fertilizers, are good for the environment, conserve resources like water and land and result in nutritious fruits and vegetables. So, what’s the issue? No one doubts these methods are valuable, but should they be called organic? Opponents argue organic farming is all about feeding the soil. Proponents claim the U.S. standards for organic don’t make soil a necessity. USDA must decide if they need to expand the definition of organic to require inground soil (as it does in other countries) or if pesticide-free is enough to earn the label. When you’re shopping for organic fruits and vegetables take note of how they were grown. Right now, the organic label is allowed on these products in the U.S. but that may change in the future. If you’re interested in exactly how the food was grown, ask the produce manager, vendor or farmer or explore the company’s website. Bioponics: Is the End Near for Organic Labeling? 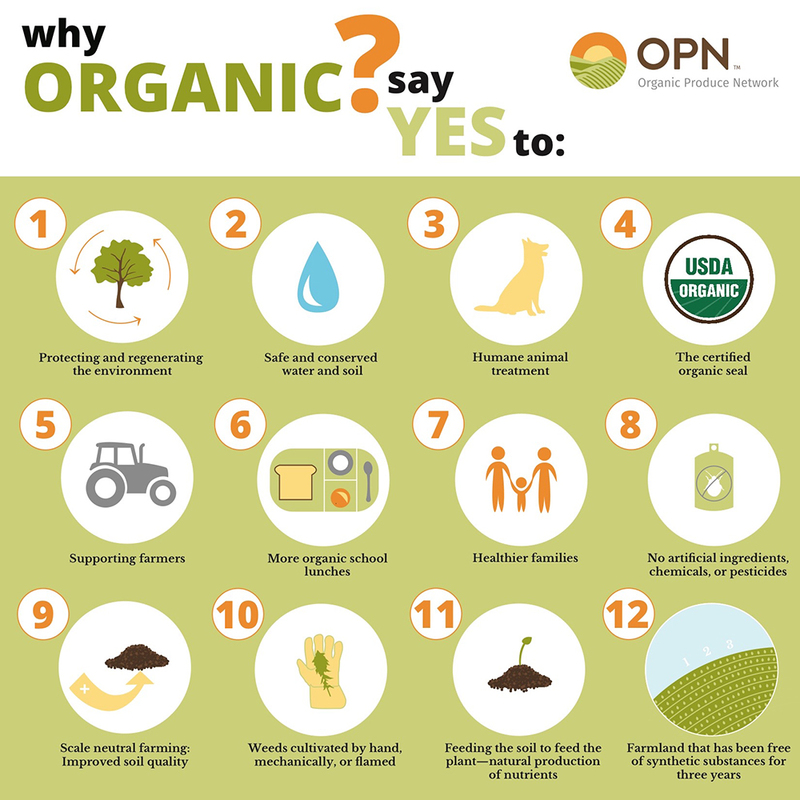 Why Say "Yes" to Eating Organic? 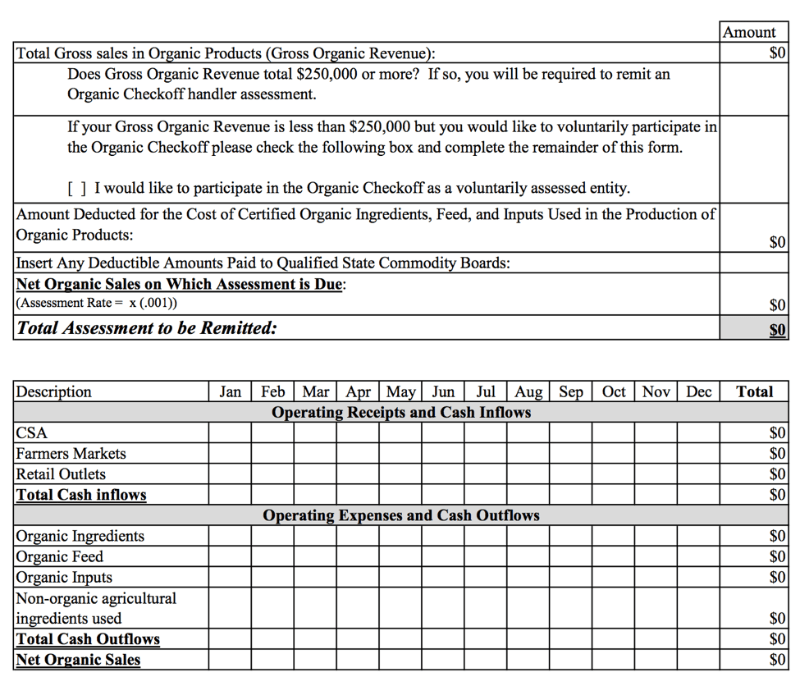 What is an Organic Checkoff? Even if you’re not sure what a checkoff is, you’ve likely heard of a few of these programs. Checkoffs were set up to support specific agricultural commodities without mentioning companies or brands. 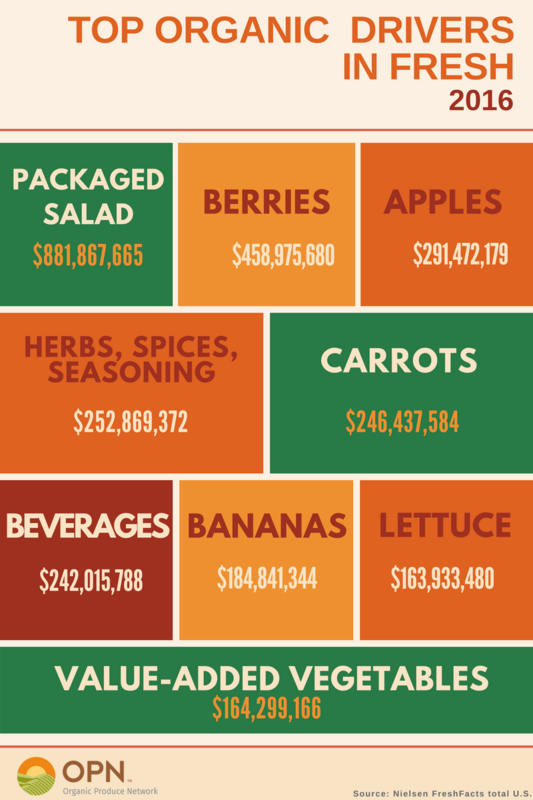 People who grow these commodities pay a mandatory fee and that money is used to fund research and marketing for their product. Checkoffs exist at both the federal and state level. There are several checkoffs in the produce industry—Hass Avocado Board, National Watermelon Promotion Board, Mushroom Council and National Mango Board, just to name a few. The new USDA proposal dubbed GRO Organic aims to create a checkoff program to support all aspects of the organic food system: organic produce, dairy, meat, grains and processed foods. Farmers, packers and retailers are split on the issue. On one hand, GRO would generate new money to fund research that could ultimately help increase demand and sales of organic products. On the other hand, this would be another expense to burden organic farmers and suppliers. USDA is currently reviewing comments and deciding if this proposal should pass. If it is implemented, expect organic research and marketing efforts to increase in the future. Want to know more? Check out our in-depth industry coverage on GRO.